Faculty liaison librarians provide individual induction sessions, and consultation and training to support academic staff, researchers and higher degree research (HDR) students. Support can be delivered individually or to small groups, in your workspace, remotely via teleconference, Skype, personal videoconference or using the CSU Online Meeting tool. Contact faculty liaison staff to arrange a consultation, or if you require further information about library induction and training. Finding support and further training. Recorded Training Sessions from the Research Office Professional Development Series. Library Faculty Liaison also deliver training for academic staff, researchers and higher degree research (HDR) students through the Research Office PD Sessions. Are you looking to complete a grant application or application for promotion and want information about how to present their research impact? This session will show you how. This session will create an understanding of Open Access publishing. What it is, forms of Open Access Publishing, why and how to identify suitable journals, with added information on sharing resources. This session will show you how to stay up to date with the latest developments in your field or research using alerts for searches, table of contents and other current awareness services. This workshop will help you identify predatory publishers using a checklist of things to consider when looking at a journal. This session will explore the ProQuest products that CSU library provides for research and show you how to use the ProQuest platform to search databases effectively. This session will introduce you in detail to the citation databases. It will show you how you how to identify key articles or authors through citation counts, and how to use this to expand your searching. 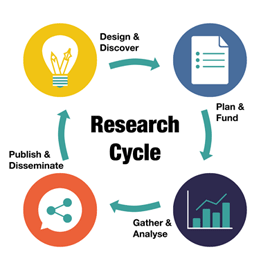 Need to set up a Research Profile and not sure what is out there or how to go about it? This session will show you the different profiles available, and their features and how to establish and maintain your profile. With your new skills with Nvivo, you can now learn how to use EndNote and Nvivo to manage and write your literature review. You can import EndNote data into Nvivo and you can cite details from you Nvivo analysis.